On Wednesday 7th of November, My Life My Choice member and trustee, Paul Scarrott, performed at the Royal Albert Hall as part of the Handy Voices Signing Choir. Paul was attending the Music from Youth Proms 2018 to help support Youth Handy Voices, which uses sign language to make music more accessible to people with hearing impairments. 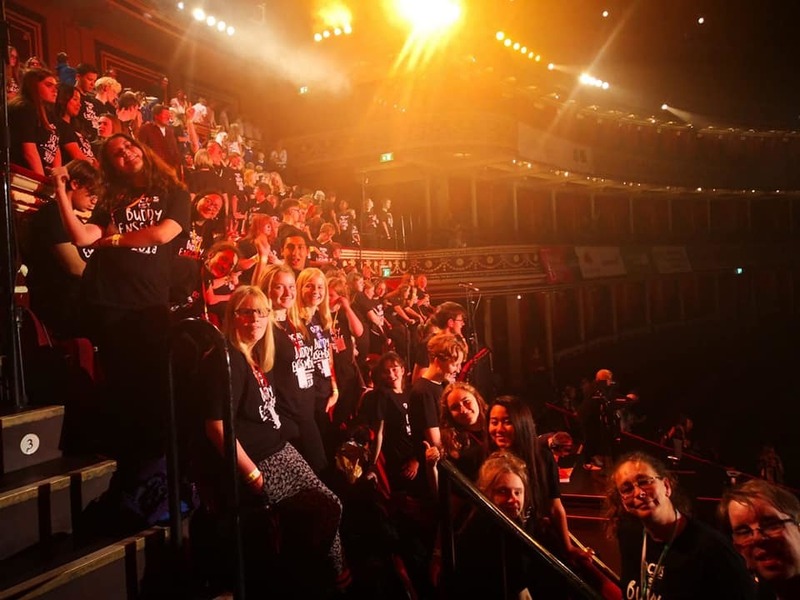 The choir performed three songs: ‘In Caelum Fero', 'This is Me' and 'Let's Get Together' the Buddy Ensemble of over 500 young people from the Oxfordshire County Music Buddy Ensemble. Paul was over the moon to be able to perform at the Royal Albert Hall saying it was a “dream come true” and that he is really proud to have done it. Before joining the Handy Voice choir Paul had always loved music but did not know it could be made accessible to people with hearing difficulties such as himself. The group has opened his eyes to the joys of music, he said, and is like a great big family, which is welcoming to all, whether you have hearing difficulties or not. The Handy Voice Choir will be performing again on the 16th December at the town Hall for the Lord Mayor’s Christmas Carol Concert! You can check out a video of the Handy Voice Choir's performance here!! !